Just as things had started to look up in the food tech space, a heavily funded startup has announced it is shutting up shop. Yumist, which was founded in 2014 and had raised Rs. 20 crore from venture capital firms, has said it’s closing operations. “We failed to raise the kind of capital that this business required while staying true to the customer problem,” Yumist wrote in a heartfelt blog post today. 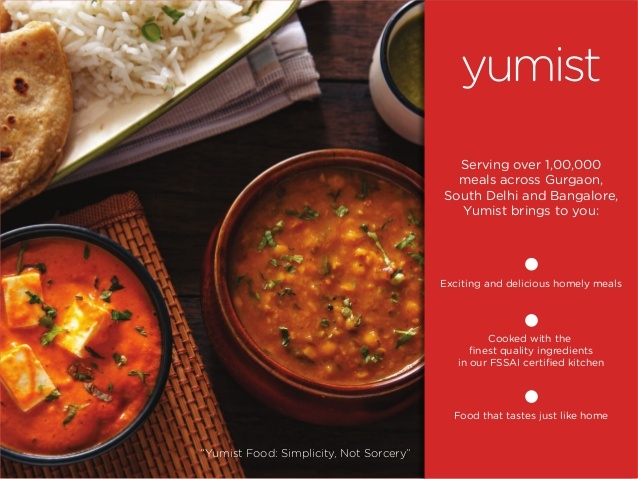 Yumist aimed to provide affordable food options to customers by cooking its own meals and delivering them. The food tech space has seen an uptrend in the last few months, with Swiggy raising Rs. 515 crore in its series E funding, and Zomato announcing just this month that it was “a profitable company.” The resurgence had followed a bloodbath for the sector in 2015 and 2016, when several companies such as Spoonjoy, Dazo, and most prominently, TinyOwl, had shut down. Even the big names hadn’t been spared — Foodpanda had fired 10% of its workforce, and Zomato had fired 300 employees, as investors slashed its valuation in half. In its farewell post, Yumist talked about the heady days of 2015 when funding was plentiful and profitability wasn’t a pressing concern. “There was a time in early 2015 when our bikers had hot meals with them basis a demand prediction algorithm and orders were delivered within 15 mins. We delivered one such order in 2 mins and the customer’s expression was priceless,” the company says. But even as customers were delighted, Yumist was bleeding money. “Our P&L (profit and loss) had a different sort of expression,” the company said. But it was not to be — Yumist says it was unable to raise sufficient funding to see the company through to 2018. It says it would’ve done several things differently if it could do things over. “From launching in a second city prematurely, or committing to a high growth, high burn model just because prospective investors wanted to see that back in 2015, or taking a tad bit too long to find the right business model, we made our mistakes. We learnt from these mistakes and recovered fast, but maybe not too fast,” it said. It’s a graceful exit post, but illustrates the brutally cut-throat nature of highly funded startups. Yumist could’ve remained a small and sustainable company, but would’ve then risked being eventually overtaken by its bigger peers. It chose to aggressively expand, but couldn’t demonstrate enough growth to convince investors it would win its category. In the world of super-funded startups, there are often no easy choices.